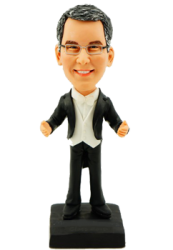 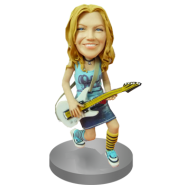 This customised music conductor bobble head is a perfect personalized gift for your favorite maestro. 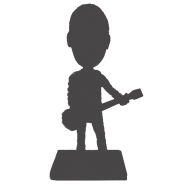 It features a man in black tuxedo and waving his hands to organize the grand music band. 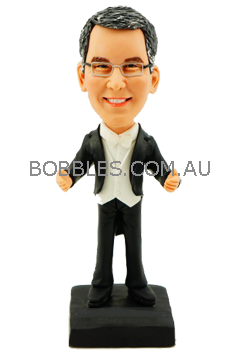 Details like the white shirt and black bow tie are hand sculpted by the talented artists in Bobbles. 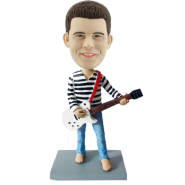 If you make it with your favorite music conductor’s face bobbing atop, it will earn huge smiling from him and all his friends.